Are you in the process of planning an RV trip? If you are and if this is your first time doing so, you may be looking for some guidance. After all, traveling by RV for the first time can be fun and exciting, but it can also be worrisome at the same time. For that reason, five helpful tips, which are ideal for first time motor home travelers, are outlined below. 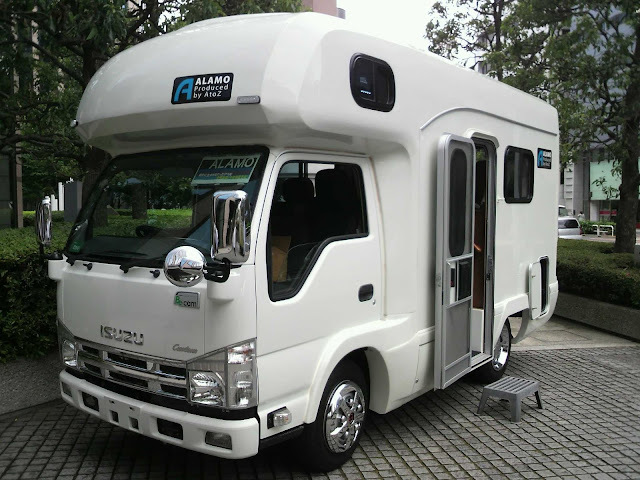 Deciding where you want to travel to by RV is an important component of doing so. Of course, you have the ability to change your mind or make side trips along the way, but you should always have an idea of where you will be going. This is important for a number of different reasons, including overall satisfaction and safety. In conjunction with the above mentioned tip of mapping out your intended travel route, doing so enables you to research activities and attractions that are located along the way. When traveling by RV, half of the fun is all of the stops that you are able to make. Of course, you can be spontaneous, but having an idea of exactly what you can do and see while traveling by RV is ideal for safety, as well as making sure that you don’t miss out on any great opportunities. When it comes to researching activities and attractions that are along your way, the internet is a great place to start. If you are taking steps now to prepare for an RV trip that isn’t set to happen for another month or so, you may want to request free vacation guides. These guides are easy to find online. Making sure your RV is stocked full of fun activities is another great tip that beginners should implement. If your upcoming motor home adventure is an extended one, you may spend a good percentage of your time on the road. Of course, looking out the window to sightsee is a nice, enjoyable activity, but it may not hold your interest for long. That is why fun activities should be examined. These activities may include movies, using a laptop computer, playing handheld electronic games, reading, or enjoying another fun hobby, such as knitting. All RV travelers are encouraged to make sure that they have fun activities for the road, but it is extremely important for parents to do so. There is nothing worse than being stuck on an RV with unhappy children. All first time RV travelers are encouraged to start packing early. In fact, the earlier the better. Many supplies, such as food and travel size toiletries can be packed or put in an RV without disrupting your current daily needs. To help ensure that your next RV trip is fun, as opposed to one that is filled with complications, create an RV trip checklist. This checklist should include specific items that you would like to bring, such as clothing, food, drinks, eating utensils, towels, wash clothes, and so forth. To help get you started, many websites have free printable camping checklists, which can serve as great guides. Be sure to check off items from your list when you pack them in your bags or place them on your motor home. As with any recreational activity, it is important to remember that there are some risks associated with traveling by RV, especially in areas that you are unfamiliar with. For that reason, a number of steps should be taken to protect your safety. Be sure to leave an itinerary with someone that you know and trust, always be aware of your surroundings, always keep a cell phone nearby, and be sure to have a fully stocked first aid kit.